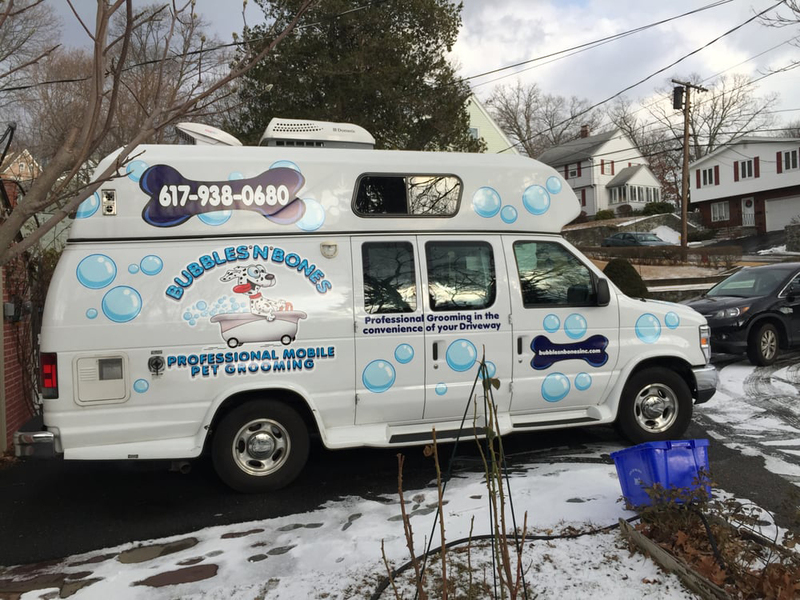 Bubbles N Bones Mobile Pet Grooming has been providing professional pet grooming services in the convenience of your driveway since 2009. 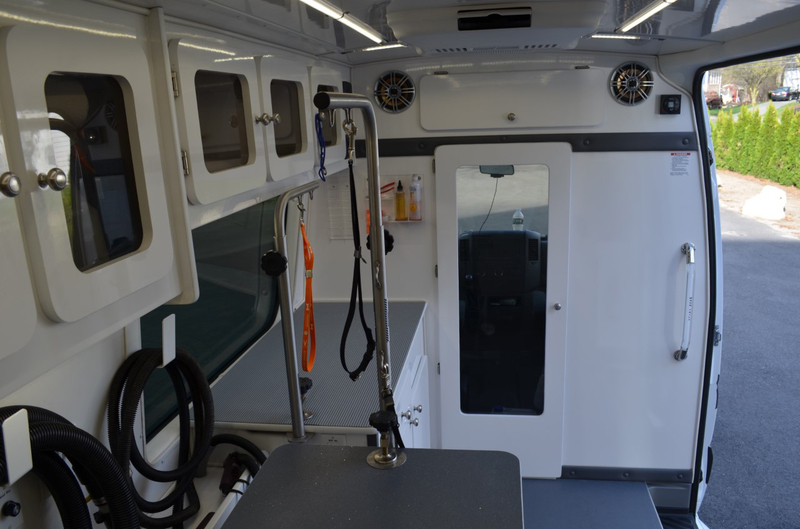 We take pride in providing our customers with a personal touch for their pets whether at home or office. We provide our fur friends a safe, anxiety-free and relaxing environment. 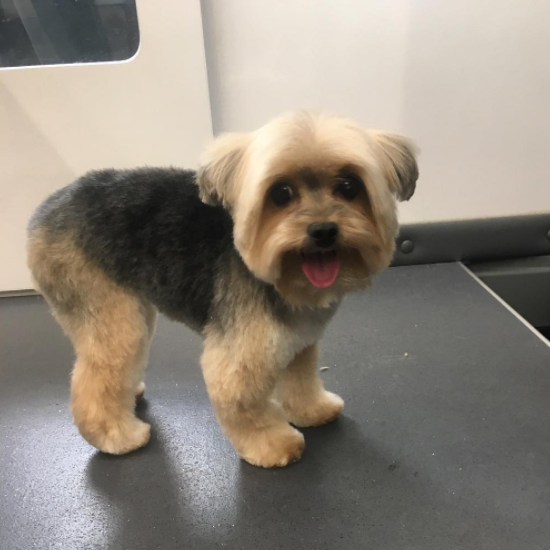 Less stress, no cages, and no exposure to other dogs makes for a much more positive grooming experience, not to mention your pet will have our professional groomer’s individual attention. 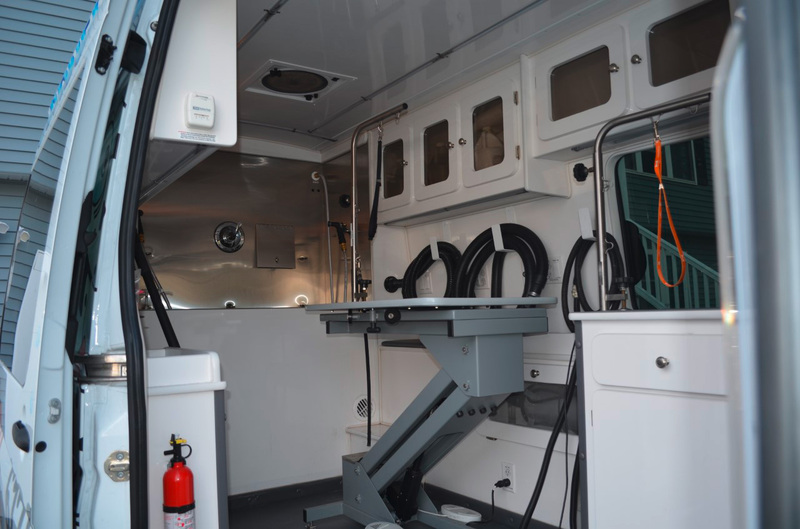 On a recurring schedule, your pet will have their very own groomer each time. They build a relationship together through positive reinforcement from a caring groomer. 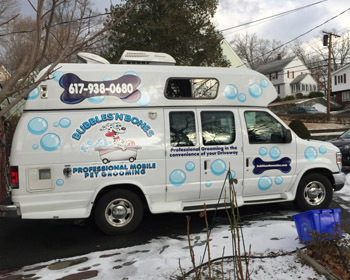 Why should you choose Bubbles and Bones? bring your pet to a salon or have a mobile grooming come to your place. 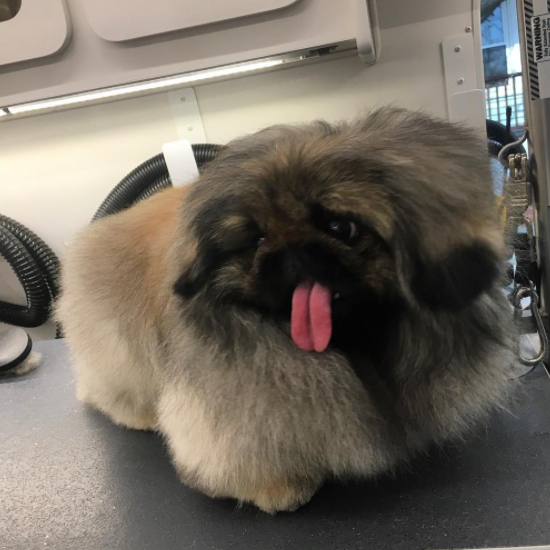 in a traditional grooming salon : The benefits are endless! 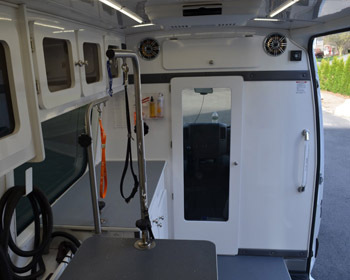 Because the groomer brings his business to you, your pet does not have to leave his environment, with less anxiety and more calm during the session. 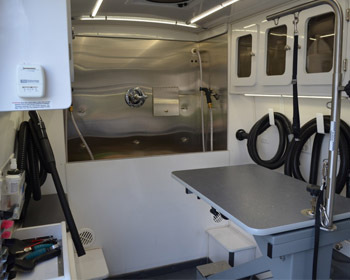 Mobile grooming saves you the trouble of driving your pet to the salon. As the pet gets groomed you can be busy with other activities! An appointment should take 1-2 hours, depending on the pet, compared to an all-day appointment at a shop. 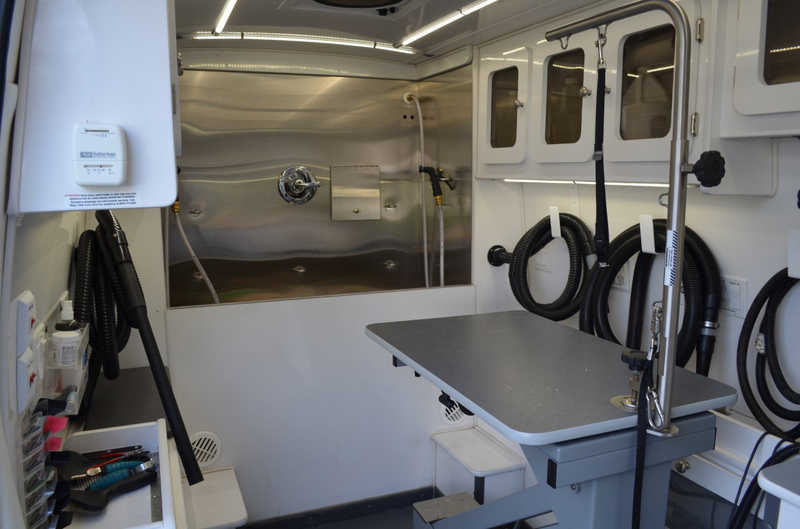 All of our grooming vans have been professionally built and equipped with everything found in a typical grooming salon, such as a full-size grooming tub, grooming table with adjustable height that lowers for convenience of larger dogs, heated dryers, and much more! 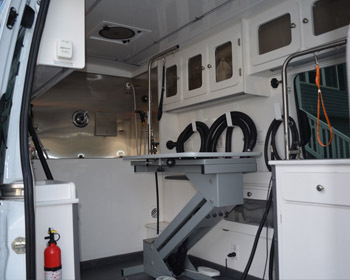 Our vans are also climate controlled to keep your pet comfortable anytime of the year! 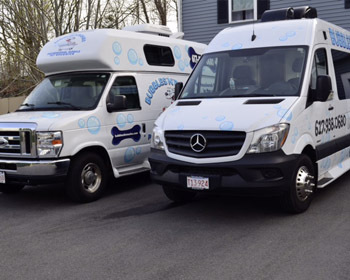 We offer a full service, such as grooming salon, without wait or stress, at your doorstep! 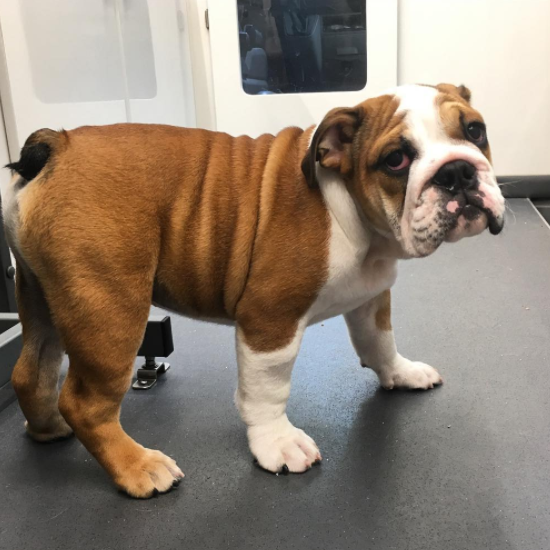 Our prices are based on breed, size, and coat condition. 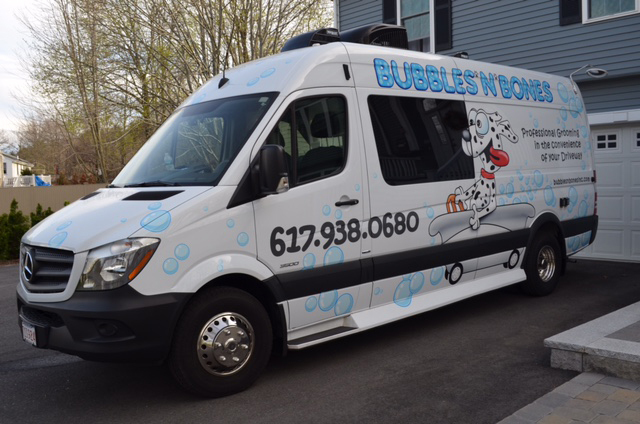 Please call us at 617 938 0680 or email us bubblesnbones@hotmail.com for a price quote. We groom cats too, as long as she or he can be handled by one person. "LOVE THIS GROOMER! I have a 1 yr old cockapoo and they have done a fabulous job on his haircut every time they do it. They listen to all my picky little details and he comes back happy and handsome! The convenience of it is amazing too. They come right to the door and pick him up and drop him off only takes an hour. I never would've imagined I would be paying $80 for a puppy's haircut but I will tell you it's worth every single penny. The convenience is great, the haircut is great, and Bruno and Joe are very professional and patient. They even text me to make sure everything is going to be perfect!!! Thank you guys!" "The guy is really nice , comes right to your door and listens to all your special little requests , my dog has one bad paw and he worked around it no problem . Also having this done in your backyard means it'll be down within an hour unlike taking them to petmsmart where taking your dog to an appointment is an all day obligation. 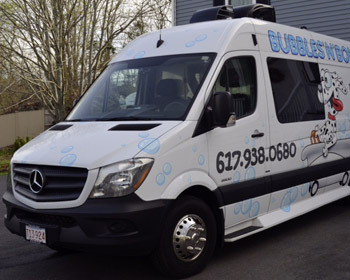 I highly recommend , very clean does a good job and worth any extra costs"
"Bruno and Joe are great! Very professional and always do a good job with my pup even when her hair has gotten a little unruly and matted. I really appreciate that Joe has taken the time to get to know my pup and she is always excited to see him comes back happy. He also asks with each cut what we'd like and has provided great tips to help us keep her coat in great condition. You can tell he really knows what he is talking about and cares a lot about your pet and the work he does. 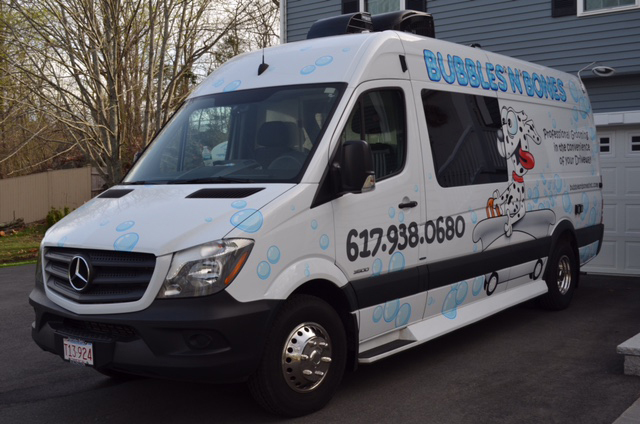 Bruno is quick to schedule appointments and is very friendly.The convenience and and great service are definitely what keep us coming back! Highly recommend!" 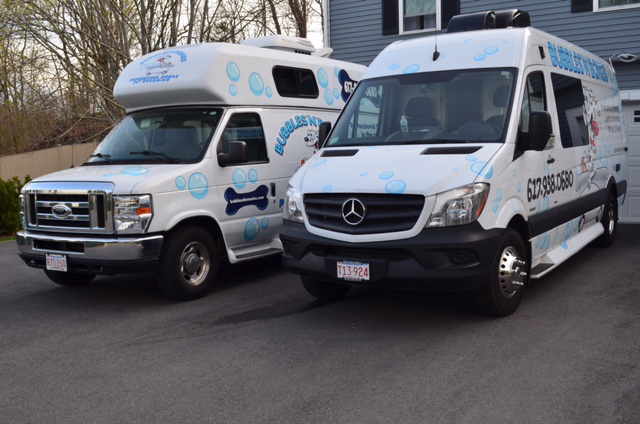 "Today was our first time with Bubbles N Bones, and we couldn't be happier! First, I called and left a message, Bruno called back at the end of the day. Joe was here at 2:30 the very next day. Joe was awesome with Oscar. He took the time to get to know Oscar and make sure he was comfortable and relaxed. I can't say enough about how great this experience was. You have a lifetime customer. I only wish I could give more than 5 stars. Oscar was hurt before we got him and has neck issues, Joe took extra care to be careful of him. 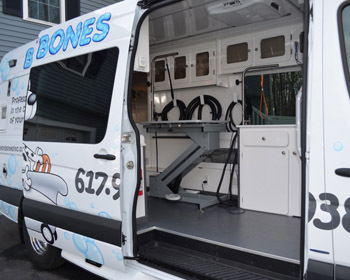 Bubbles N Bones is awesome, I'd highly recommend them to anyone." Read more reviews from our customers on our Yelp official page ! 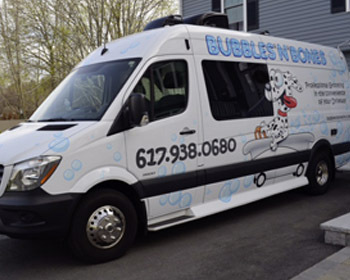 We are currently offering our services around stoneham, MA. This list isn't a closed one so don't hesitate to contact us if yours isn't listed above! booking an appointment, by phone or mail! We'll get back to you in best delays.